From UCC Distributing. Wubba Lubba Dub Dub! 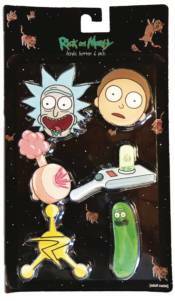 Show your love for the popular show Rick and Morty with these acrylic buttons, perfect for decorating any jacket or bag!